Please type your desired tags, e.g. Biochemistry and Chemical Biology, Terrorism, Pathobiology, Critical Media Studies, Nanosafety, Technical Writing, Accounting, Health Careers Preparation, Asian Studies, 19th & 20th - Century American Literatures & Cultures, American and British Women’s Literature, Early American Literature, Identity and Selfhood, Nineteenth and twentieth century feminist, Games Development, and etc. VESTIGE - Visual Engineering for Specification, Transformation, Integration, Generation, and Evolution of digital information - indicates one of the major research activities of his group. The primary aim of this project framework is to develop visual programming and visual language technology and apply such technologies to multimedia/Web authoring and presentation, software engineering, digital document interchange, data mining, and parallel/distributed programming. 2007–2007	13th International Conference on Distributed Multimedia Systems (DMS2007), San Francisco, USA, 6-8 September 2007. 2010–2010	2010 International Conference on Progress in Informatics and Computing (PIC-2010), Shanghai, China, 10-12 December 2010. 2010–2010	International Conference on Machine and Web Intelligence (ICMWI'2010), Algiers, Algeria, 3-5 October 2010. 2008–2008	2008 Asia-Pacific Workshop on Visual Information Processing (VIP08), Tainan, ROC, 8-9 December 2008. Panelist on the US NSF (National Science Foundation) review panel in 2001, 2004. Assessor for Australian Research Council, Large Research Grants and Small Research Grants, 1994-1999. External Reviewer in the Review Committee of the Australian Transputer Center, University of Technology, Sydney, 1996. Reviewer for many journals including IEEE Trans. Software Engineering, IEEE Trans. Knowledge and Data Engineering, IEEE Trans. Systems, Man and Cybernatics, The Computer Journal, Automated Software Engineering, Annals of Software Engineering, Software – Practice and Experience, International Journal of Software Engineering and Knowledge Engineering, Journal of Visual Languages, Computing, Software and Systems Modeling, VLDB Journal, Journal of Software (), and Sciences in China ('). Editorial Board Member and Book Reviews Editor of Journal of Visual Languages and Computing, Academic Press, October 2001 -. Editorial Board Member of International Journal of Software Engineering and Knowledge Engineering, World Scientific, August 2006 -. Editorial Board Member of International Journal of Advanced Intelligence, AIA International Advanced Information Institute, March 2009 -. Editorial Board Member of Journal of Big Data, Springer, February 2013 -. 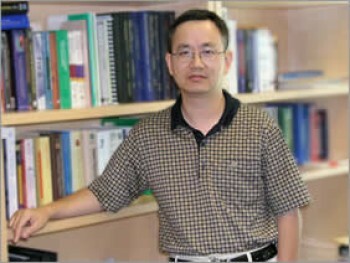 Guest Editor for Special Issue on Engineering Visual Analytics, Science China – Information Sciences, 2012. Guest Editor for Special Issue on Visual Information Communication, International Journal of Advanced Intelligence, 2011. Guest Editor for Special Issue on Graph Visualization, Journal of Visual Languages and Computing, Vol.21, No.4, 2010. Guest Editor for Special Issue on Information Reuse and Integration, Informatica, Vol.33, No.3, October 2009. Guest Editor for Special Issue on Information Reuse and Integration, Information and Decision Sciences, Vol.1, No.3, 2009. 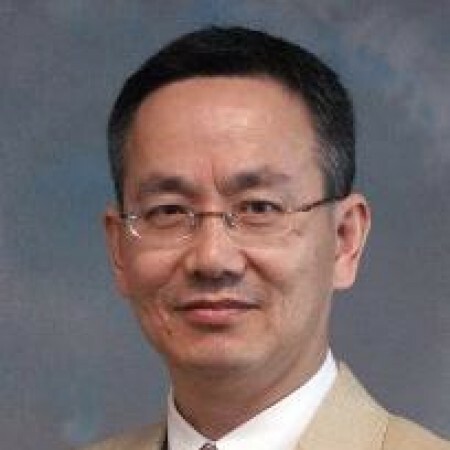 Guest Editor for Special Issue on Software Visualization and Information Visualization, Journal of Software (China), 2008. Guest Editor for Special Issue on Visual Interactions in Software Artifacts, Journal of Visual Languages and Computing, Vol.18, No.4, August 2007. Guest Editor for Special Issue on SEKE’06, International Journal of Software Engineering and Knowledge Engineering, Vol.17, No.2, April 2007. Guest Editor for Special Issue on Multimedia and Web Design, Multimedia Tools and Applications (Kluwer), Vol.29, No.1, 2004. Guest Editor for Special Issue on SEKE’03, International Journal of Software Engineering and Knowledge Engineering, Vol.14, No.1, February 2004. Guest Editor for Special Volume on Software Visualization, Annals of Software Engineering, 2002. Guest Editor for Special Issue on Visual Methods and Tools for Distributed Software Development, Journal of Visual Languages and Computing, Vol.12, No.2, 2001. Guest Editor for Special Issue on Software Visualization, Australian Computer Journal, Vol. 27, No. 4, 1995. 3rd International Conference on Education and Management Technology(ICEMT’2012),4th International Conference on Information and Financial Engineering(ICIFE’2012), Jeju Island, Korea, 29-30 June 2012. 10th International ConferenceComputer Graphics, Imaging and Visualization(CGIV’2013), Macau, China, 6-8 August 2013. The 3rd Conference on Engineering and Business Management (EBM’2012), Shanghai, China, 26-28 March 2012. 2012 International Conference on Economics Marketing and Management (ICEMM’2012), Hong Kong, 5-7 January 2012. 2011 International Symposium on Visual Information Communication (VINCI’2011), Hong Kong, 4-5 August 2011. 2010 International Conference on Progress in Informatics and Computing (PIC-2010), Shanghai, China, 10-12 December 2010.
International Conference on Machine and Web Intelligence (ICMWI’2010), Algiers, Algeria, 3-5 October 2010. 13th International Conference on Distributed Multimedia Systems (DMS’2007), San Francisco, USA, 6-8 September 2007. 2008 Asia-Pacific Workshop on Visual Information Processing (VIP’08), Tainan, ROC, 8-9 December 2008.
International Symposium on Visual InformationCommunication and Interaction (VINCI), 2013-. 3rd International Conference on Education and Management Technology (ICEMT’2012), 4th International Conference on Information and Financial Engineering (ICIFE’2012), Jeju Island, Korea, 29-30 June 2012. 2010 Visual Information Communications - International Symposium (VINCI’10), Beijing, China, 24-25 September 2010. 2009 Visual Information Communications International (VINCI’09), Sydney, Australia, 24-25 September 2009.
International Workshop on Visual Languages and Computing, Boston, USA, Sept, 2008. 2005 IEEE Symposium on Visual Languages and Human-Centric Computing, Dallas, USA, Sept. 2005. 2005 International Workshop on Visual Languages and Computing, Banff, Canada, Sept, 2005. 6th International Conference on Evaluation of Novel Approaches to Software Engineering (ENASE’2011), Beijing, China, 8-11 June 2011. 2009 IEEE International Conference on Information Reuse and Integration (IRI’09), Las Vegas, USA. 2008 IEEE International Conference on Information Reuse and Integration (IRI’08), Las Vegas, USA. 2007 International Workshop on Visual Languages and Computing (VLC’07), San Francisco, USA, 6-8 September 2007. 18th International Conference on Software Engineering and Knowledge Engineering (SEKE’2006), San Francisco, USA, 5-7 July 2006. 2004 International Workshop on Multimedia and Web Design, Miami, USA, 13 December 2004. 2004 International Workshop on Visual Languages and Computing, San Francisco, USA, 8-10 September 2004. 2003 IEEE Symposium on Visual and Multimedia Languages: VL’2003 (part of HCC’2003), Auckland, New Zealand, 28-31 October 2003. 15th International Conference on Software Engineering and Knowledge Engineering (SEKE’2003), San Francisco, USA, 1-3 July 2003.
International Symposium on Visual Methods for Parallel and Distributed Programming, London, UK, 25-27 July 2001. IEEE VL'2000 Workshop on Visual Methods for Parallel/Distributed Programming, Seattle, USA, 14 September 2000. 1st Australian Software Visualization Workshop, Sydney, 23-24 November 1995. 20th Australian Joint Conference on Artificial Intelligence (AI’07), Gold Coast, Australia, 2-6 December 2007. 20th, 22nd, 23rd, 24th, 25th, 26th, 27th IEEE Symposium on Visual Languages and Human-Centric Computing: VL/HCC’04 (Rome, Italy), VL/HCC’06 (Brighton, UK), VL/HCC’07 (Coeur d'Alène, Idaho, USA), VL/HCC’08 (Herrsching am Ammersee, Germany), VL/HCC’09 (Corvallis, USA), VL/HCC’10 (Madrid, Spain), VL/HCC’11 (Pittsburgh, USA). 9th-18th International Conference on Distributed Multimedia Systems: DMS’03 (Miami, USA), DMS’04 (San Francisco, USA), DMS’05 (Banff, Canada), DMS’06 (Grand Canyon, USA), DMS’07 (San Francisco, USA), DMS’08 (Boston, USA), DMS’09 (San Francisco, USA), DMS’10 (Oak Brook, Illinois, USA), DMS’11 (Florence, Italy), DMS’12 (Miami Beach, USA). ACM SAC'2008, 2009, 2010, 2011, 2012 MMV Track. IEEE International Conference on Information Reuse and Integration: IRI’05 (Las Vegas, USA), IRI’06 (Hawaii, USA), IRI’07-IRI’12 (Las Vegas, USA). 10th IEEE/ACIS International Conference on Computer and Information Science: ICIS’2011 (Sanya, China). 4th, 5th, 6th, 7th, 8th, 9th International Conference on Web-based Learning: ICWL’05 (Hong Kong, China), ICWL’06 (Penang, Malaysia), ICWL’07 (Edinburgh, UK), ICWL’08 (Jinhua, China), ICWL’09 (Aachen, Germany), ICWL’10 (Shanghai, China), ICWL’11 (Hong Kong). 25th, 26th Conference on Artificial Intelligence: AAAI-2011 (San Francisco, August), AAAI-2012 (Toronto, Canada, July). 8th,9th,10th International Working Conference on Advanced Visual Interfaces: AVI’06 (Venezia, Italy), AVI’08 (Napoli, Italy), AVI’10 (Roma, Italy), AVI’12 (Capri, Italy). 8th, 9th IEEE International Conference on Computer and Information Technology, CIT’08 (Sydney, Australia), CIT’09 (Xiamen, China). 3rd, 4th, 5th, 7th International Conference on Evaluation of Novel Approaches to Software Engineering ENASE’08 (Madeira, Portugal), ENASE’09 (Milan, Italy), ENASE’10 (Athens, Greece), ENASE’12 (Wroclaw, Poland). The 2010 International Congress on Computer Applications and Computational Science (CACS’2010), Singapore, 4-6 December 2010. 3rd, 4th, 5th International Symposium on Applications of Graph Transformation with Industrial Relevance: AGTIVE’07 (Kassel, Germany), AGTIVE’11 (Budapest, Hungary), AGTIVE’12 (). 8th ACIS International Conference on Software Engineering, Artificial Intelligence, Networking and Parallel/Distributed Computing (SNPD 2007), Qingdao, China, 30 July – 1 August 2007. 2nd and 3rd International Conference on Software and Data Technologies: ICSOFT’07 (Barcelona, Spain, 22-25 July 2007), ICSOFT’08 (Porto, Portugal, 5-8 July 2008). 18th Australian Conference on Software Engineering (ASWEC’07), Melbourne, Australia, 10-13 April 2007. Asia-Pacific Workshop on Visual Information Processing (VIP’06), Beijing, China, 7-9 November 2006. 10th IASTED International Conference on Internet and Multimedia Systems and Applications (IMSA’06), Honolulu, Hawaii, USA, 14-16 August 2006. 18th Asia Pacific Web Conference (APWeb’06), Harbin, China, 16-18 January 2006. 3rd International Conference on Information Technology and Applications, Sydney, Australia, 4-7 July 2005. 20th-21th Annual ACM Symposium on Applied Computing, Data Mining Track: SAC’2005 (Santa Fe, USA), SAC’2006 (Dijon, France). 28th International Computer Software and Application Conference: COMPSAC’2004, Hong Kong, China, 27-30 September 2004. 3rd, 5th International Conference on Quality Software: QSIC’2003 (Beijing, China), QSIC’2005 (Melbourne, Australia). International Workshop on Visual Languages and Computing, Miami, USA, 24-26 September 2003. 12th, 14th-16th IEEE Symposium on Visual Languages: VL'96 (Boulder, USA), VL'98 (Halifax, Canada), VL'99 (Tokyo, Japan), VL'00 (Seattle, USA). 9th-18th International Conference on Software Engineering and Knowledge Engineering: SEKE'97 (Madrid, Spain), SEKE'98 (San Francisco, USA), SEKE'99 (Kaiserslautern, Germany), SEKE'00 (Chicago, USA), SEKE'01 (Buenos Aires, Argentina), SEKE’02 (Ischia, Italy), SEKE’03 (San Francisco, USA), SEKE’04 (Banff, Canada), SEKE’05 (Taiwan, ROC), SEKE’06 (San Francisco, USA). 2nd-7th Australasian Conference on Parallel and Real-Time Systems: PART'95 (Fremantle), PART'96 (Brisbane), PART'97 (Newcastle), PART'98 (Adelaide), PART'99 (Melbourne), PART'00 (Sydney). 8th-9th International Symposium on Languages for Intensional Programming: ISLIP'95 (Sydney, Australia), ISLIP'96 (Tempe, USA). 1st-4th International Workshop on Cooperative Internet Computing: CIC’01, CIC’02, CIC’03, CIC’04 (Hong Kong, China). 1st-3rd Software Visualization Workshop: SoftViz'95 (Sydney), SoftVis'97 (Adelaide), SoftVis'99 (Sydney). International Symposium on Future Software Technology: ISFST'99 (Nanjing), ISFST'00 (Guiyang). 5th International Conference on Computer Supported Cooperative Work in Design, Hong Kong, China, 29 November-1 December 2000. 3rd, 5th International Workshop on Advanced Parallel Processing Technologies: APPT'99 (Changsha, China), APPT’03 (Xiamen, China). 1st International Conference on Parallel Processing and Artificial Intelligence, London, UK, 17-18 July 1989. Organizing Committee member of ACSW'97 - Australasian Computer Science Week: ACSC'97, CATS'97, and ACAC'97, Sydney, Australia, 3-7 February 1997. Steering Committee Member of Australasian SoftVis Consortium, 1997-2000. Visiting Fellowship to the UK, sponsored by Ministry of Education, China, 1985 (top 0.5% selected based on English test and Computer Science subject tests). SERC Postdoctoral Research Fellowship, Science and Engineering Research Council (SERC), UK, 1990 (top 20% applicants being awarded). Visiting Professorship to Nanjing University, sponsored by the State Key Laboratory for Novel Software Technology, Nanjing University, China, 2000 (special recognition). Nominated for the Research Supervisor of the Year Award in 1998, 1999 and 2000, at Macquarie University, Sydney, Australia. Outstanding Service Award, Erik Jonsson School of Computer Science and Engineering, University of Texas at Dallas, August 2003. Chunhui Visiting Professorship to Zhejiang University, awarded by the Ministry of Education, China, 2005-2006. Outstanding Service Award, Department of Computer Science, University of Texas at Dallas, December 2009. RICHARDSON , Texas (Aug. 26, 2004) – The National Science Foundation (NSF) has awarded the Erik Jonsson School of Engineering and Computer Science at The University of Texas at Dallas (UTD) $385,000 to provide scholarships for talented, financially needy students studying software engineering (SE) and computer science (CS) to help alleviate a national shortage of high-tech workers. The grant, which is effective Sept. 1 and expires four years later, will fund 28 scholarships, with matching funding by the Jonsson School providing another seven – for a total of 35 scholarships.